Welcome to another Food Day on Daily Dose of Art! 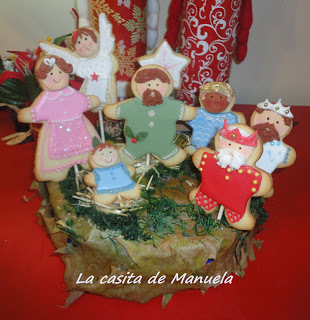 Today to finish our Nativity week, i bring you a feature on “Un Belén de galletas” – The Cookie Nativity Scene. These images are from blogs of baking enthusiasts from Spanish speaking countries. It is understandable, as they come from countries that were former colonies of Spain. The conquistadores brought Christianity onto their shores, and with them they brought the Christmas traditions of Catholic Spain which inludes the Portal de Belén – Belén is the Spanish word for Bethlehem, the place of Jesus’ Birth. These traditions have survived many centuries. 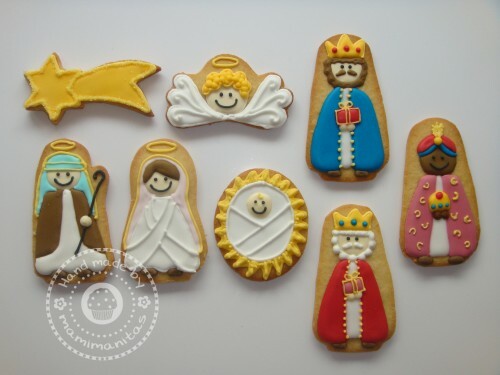 They are so integrated in the culture to a point that they have made edible versions of the Nativity Scene. I guess a true indicator that people in these countries, wish to receive the spirit of Christmas, and i mean that literally, because with these Nativity cookies, you can surely ‘take in’ the spirit of the season. In all cultures, food is a means to have a sense of communion with family and community, and making and consuming these cookies is a great way of sharing and being one in the spirit of Christmas. This entry was posted on December 30, 2012 by Paulina Constancia in Create and tagged Christmas.